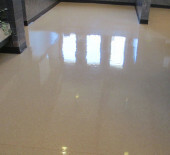 We're ready to make your floors and surfaces look stunning! 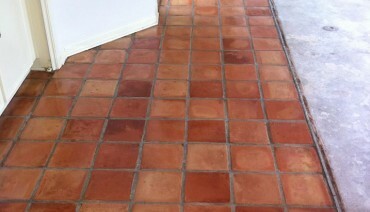 We can deep clean your tile and grout lines, then seal or color seal the grout to keep it looking great for a long time. 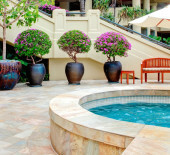 Indoors or out, our slate cleaning and enhancing services will bring out the beauty of this unique stone. 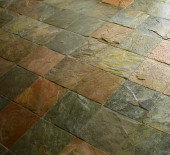 Have your wood floors become damaged or lost their luster? 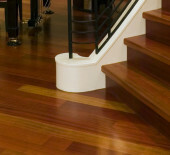 It's time to call in the wood floor care experts. 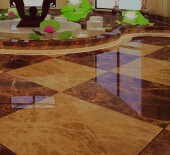 We offer expert marble polishing and restoration services and can restore any marble surface to its original splendor. 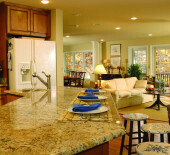 Damaged, stained or dull granite countertops? No worries. We can resolve most problems and restore your counters to like new! 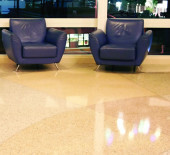 Experience counts when it comes to floor and surface restoration. 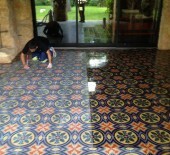 Rest assured that our highly trained and experienced technicians know how to restore the beauty and value to your hard surfaces. We will never underbid and cut corners or overbid and pad our pockets. With Stonewood, you can always count on a fair and honest, competitively priced estimate for the highest quality craftsmanship. 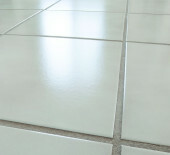 Saltillo tile can make a dramatic statement when it is professionally cleaned and sealed. 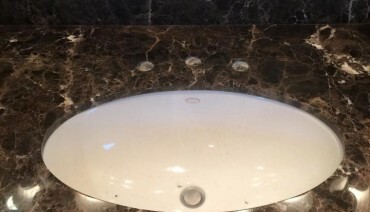 Dull marble vanity top cleaned, polished and restored to like new! 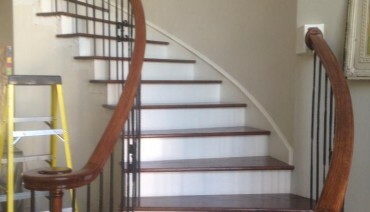 These beautiful hardwood stairs were once worn carpet and plywood.